Most property owners on the Gold Coast have just received their City of Gold Coast Water and Sewerage Rate Notice for January. Under Queensland law, you must receive a quarterly water bill. The City of Gold Coast issues their water bills in January, April, July and October. Whenever water bills arrive we get clients asking us their Gold Coast water bill is always out of date. For example, most water bills issued in January were for water that was used between July and October. This is due to the contractors who read each individual water meter having set routes and timelines to read your meter so yes your usage charges are always at least two months out of date. This is why we suggest you monitor your own individual water meter weekly and read how to do it on our page “How To Read Your Water Meter”. In reality, even if you used no water you would still pay for service charges of $234.05 every quarter or $936.20 every year. Average water use of 451 litres or 0.451kL per property is not an accurate guide to your water use. In our experience, most homes with more than one occupant will use 1-2 kL every day. Remember your water usage will vary every day based on the number of occupants at home each day and their water use behaviours. That is why we recommend you read your water meter weekly as that will give you a better guide about your average consumption but will also alert you to a potential water leak. If you suspect a water leak call Whywait Plumbing and ask for our leak detection service. Household plumbing is one of those tasks that homeowners always debate over. Should you attempt to complete the work yourself to save a bit of money or hire a plumber and absorb the added cost? Many common plumbing tasks seem simple at first glance, so it is understandable that you might want to try the DIY route. However, there are a number of pitfalls that can ensnare you if you don’t fully understand what you are doing. Recently, we were called out to a Coombabah home to address a blocked sewer drain. 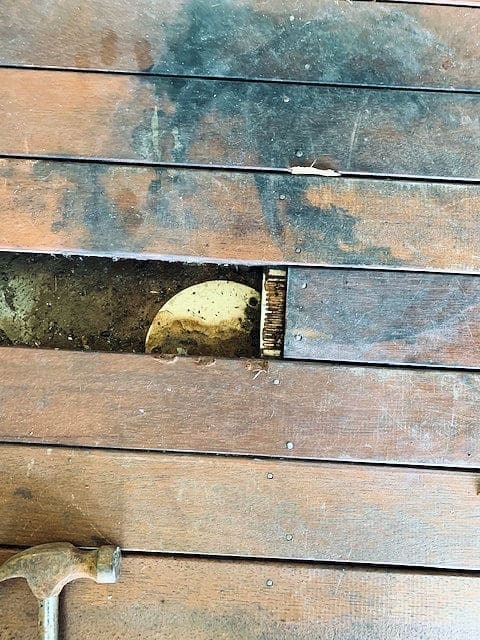 However, the homeowner had unknowingly built a deck over the inspection access point. Because of this, we were unable to fix their blocked drain until we had received detailed drain plans from the local council to enable us to find another access point. 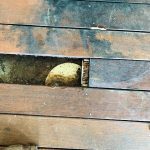 While this was not specifically a DIY plumbing issue, it is likely that the homeowner had built the deck themselves. An experienced contractor would have known that it is against the law to build over an inspection opening to the surface (IOS) for sewer pipes. You expose yourself to similar risks when attempting to do your own plumbing, as you may be violating regulations and laws of which you are not even aware. On another recent job, we discovered that a homeowner had connected both the hot and cold water pipes with flexihoses. 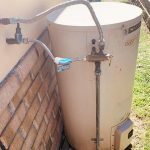 While this is fine for cold water, hot water must be connected with copper pipe for the first metre from the water heater. This is a requirement of the Plumbing & Drainage Act, so failing to comply with the regulations could result in fines or other punishment. In addition to the possible legal ramifications, the safety risks are of even greater concern. Because flexihoses are not designed for use with hot water, they can burst or rupture without warning when exposed to excessive heat, allowing water upwards of 75 degrees to spray everywhere. Had someone been nearby when the hose ruptured, they would likely have been severely scalded. In many cases, we get called out to homes to fix plumbing problems that were the result of the homeowner’s attempts to fix their own plumbing. Often, their efforts have complicated matters, resulting in more costly repairs. When you attempt to do your own plumbing, you run the risk of making mistakes that could lead to even more damage to your plumbing system. 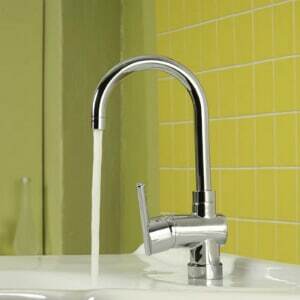 An experienced plumber will know exactly how to fix your plumbing problem quickly and accurately. Although hiring a plumber will cost you a bit more than doing the work yourself, you’ll save time and gain peace of mind that the job has been done right. The added cost of hiring a plumber is a small price to pay for the safety of your home. When you are in need of a plumber in the Gold Coast region, Whywait Plumbing Services are here to help. We have helped countless homeowners in the area with a variety of common plumbing problems, including blocked drains, cracked or broken pipes, leaks, water damage, hot water system installation and maintenance, and gas fitting, to name a few. Our friendly associates will be happy to assist you with whatever you need, so don’t be shy about getting in touch. We are available 24 hours a day to serve you, because you never know when a plumbing issue might arise. When it happens to you, don’t expose your home to unnecessary risk by attempting DIY plumbing. Call the experts at Whywait Plumbing Services right away! Is a Plumber and a Gas Fitter the Same Thing? Gas Fitter or plumber? There is a difference. Here at Whywait Plumbing we are often asked if we do gas fitting? While some plumbers offer gas fitting services, individuals qualified solely as gasfitters can’t offer plumbing services and in case you’re wondering YES Whywait Plumbing does do gas fitting work. Plumbing work is defined in the Australian Standards (AS3500) Regulations 2013 and refers to any operation, work or process in connection with installation, removal, demolition, replacement, alteration, maintenance or repair to the system of pipes and fixtures that conveys clean water into and liquid waste out of a building. To become a licensed plumber a four year apprenticeship (Certificate III in Plumbing) is required. As part of this course, instruction in the basics of gas fitting will be undertaken. Upon completion these basics in gas fitting will allow the plumber to not only apply for his plumbing licence but also an interim gas licence and carry out gas work under the supervision of a fully qualified gas fitter. To obtain a full gas licence from the Department of Mines and Energy the plumber will need to have worked on an interim gas licence for a minimum period of twelve months and successfully completed a Certificate IV in Plumbing. Gasfitting work is defined in the Gas Standards (AG5601 Gas Installations) Regulations 2013 as to any operation, work, or process in connection with installation, removal, demolition, replacement, alteration, maintenance or repair of a gas installation. To train as a gasfitter and gain an interim gas licence it is necessary to complete Certificate III in Gasfitting which once achieved will allow the recipient to work under the supervision of a fully qualified gas fitter. This course is much shorter and does not cover plumbing works. The course can be completed by non-tradespersons or tradespersons within electrical, mechanical, electronics and other fields who are required to work on and install, commission and service Type A gas appliance and reticulated gas supplies. Once again to obtain a full gas licence from the Department of Mines and Energy the recipient will need to have worked on an interim gas licence for a minimum period of twelve months and successfully completed the relevant Certificate IV qualification. Now that we have clarified the difference between plumbing and gas fitting works we would like to give you some tips to ensure you choose the right person with the right qualifications for the job. A Gas Certificate & Compliance Plate should be issued by the fully qualified as fitter for all gas work. Excludes servicing & fault finding. 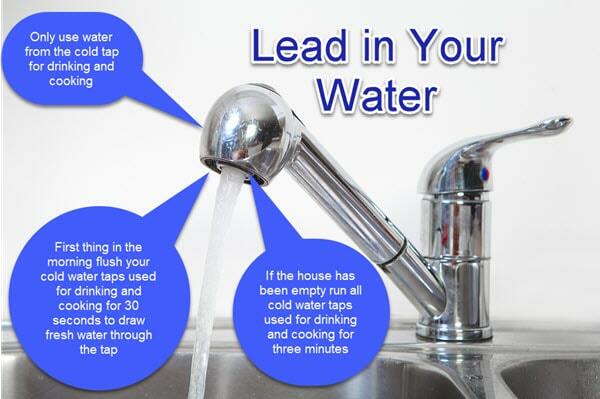 So now you know the difference whether you need plumbing work or gas fitting work Whywait Plumbing has you covered. We’re here to help and just a telephone call away. Asbestos in your bathroom is just one of the many issues that can confront you when undertaking a bathroom renovation. Until the early 1980’s the use of asbestos sheets in bathrooms was the norm and can be sitting beneath your bathroom tiles with potential deadly consequences. If you are confident and capable Whywait Plumbing fully endorse undertaking labouring work yourself, purchasing materials and running the project but remember short cuts and cheap non compliant products will always come back to haunt you. Can my gas BBQ explode is a question we get asked every summer as we all love a barbecue its part of our lifestyle. But every year far too many people suffer severe burns and injuries. Most barbecues have been lying around, unused over the winter months and as soon as the warm weather returns we all fire up the barbecue without a second thought as to whether its safe to use. 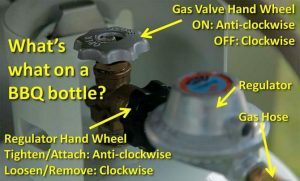 Gas bottles with their regulator and hose connections are the most common potential for leaking LPG gas to literally explode when you are using it. Above is a short video that will run you through seven simple checks before using your barbecue that shows all of the tests listed above including a soapy water test. Once you have checked your connections are tight and checked the rubber gas hose for any signs of being perished please ensure you carry out a soapy water leak of all the connections. You can create soapy water in a bowl with soap and brush it on, or preferably use a spray bottle where you put some gel soap into a spray bottle with water and spray all of the connections. If a leak is present, the soapy water will produce bubbles indicating the location of the leak. If a leak is detected, you may need to disconnect the joint and clean the mating surfaces. Then re-connect and re-check for leaks again. If you continue to see leaks then it is likely that fitting needs replacing before using the barbecue. LPG gas cylinders seldom explode because they all come with a pressure relief valve so if there is a problem with heating up, the relief valve automatically allows the LPG to vent. Consequently rather than exploding the venting LPG in the worst possible scenario can ignite if there is an ignition source and you have a spectacular plume of flame going upwards. The cylinder will in a short time run out of gas and the flame will extinguish and this is why you always use a barbecue outside and away from the house in a well-ventilated area separated from ignition sources. 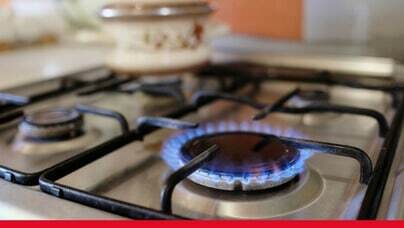 Remember if you smell gas always turn off the valve at the gas bottle. All gas installation work must be undertaken by a licensed gasfitter so if you have any questions contact Whywait Plumbing Services now.